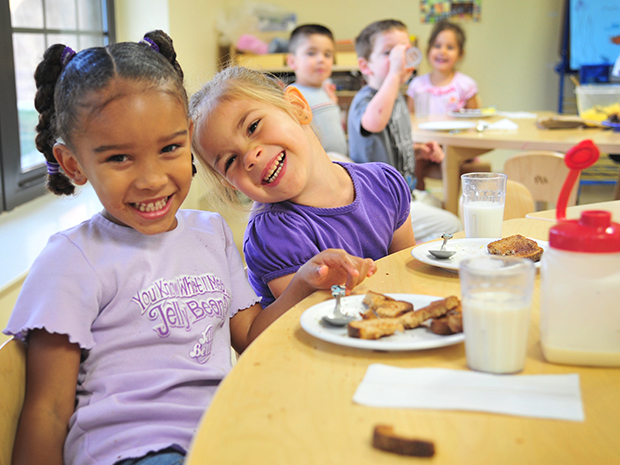 A new law in Washington will expand Breakfast After the Bell programs throughout the state, the Daily Fly reports. Signed into law on Wednesday by Gov. Jay Inslee, HB 1508 requires that schools in which at least 70% of students qualify for free or reduced-price meals offer Breakfast After the Bell by the time the 2019-2020 school year begins. The food offered at breakfast must meet federal nutrition standards and can’t be made up of more than 25% added sugar. Schools must also give preference to food that is fresh and grown in the state. The breakfast period can count as instructional time if it includes an educational component and the meals don’t disturb classroom instruction. Additionally, the law encourages schools to coordinate farm-to-school programs as well as to partner with the state’s Department of Agriculture to share strategies for purchasing local food. The state’s Joint Legislative Audit and Review Committee has been tasked with completing an analysis of the program’s effectiveness by 2026. Read the full story via lcvalley.dailyfly.com.